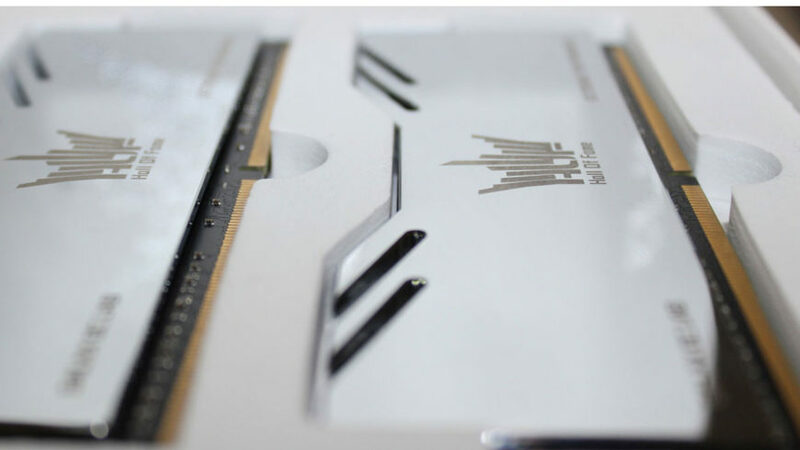 DDR4 memory is coming with the Intel Haswell-E launch in September/October 2014, but there hasn’t been much in the way of price indications for computer enthusiasts looking to upgrade their high-performing rigs to the latest cutting-edge stuff. Although there have been reports of DDR4 selling in some Taiwanese shops, you absolutely can’t use it at all. 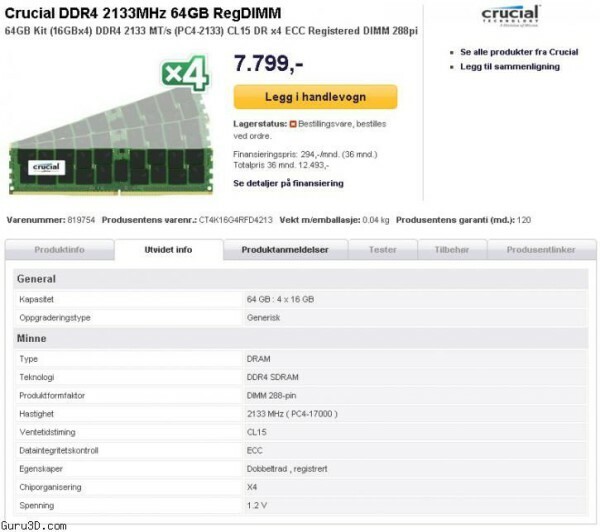 Now, though, a Norwegian online retailer has listed the first consumer-bound ECC kit of DDR4 memory and things are already looking very promising. 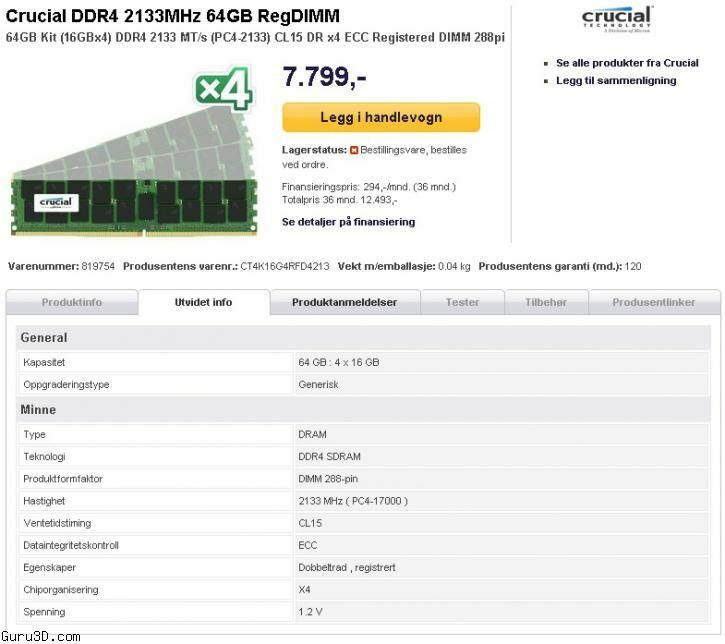 The first commercial sale of DDR4 to consumers was picked up by Guru3D forum user Terje_P of Oslo, Norway. The retailer, Komplett.no, has also previously shipped hardware before embargo releases before, so this leak is about as accurate as you can get. The advertised kit in the image below is Crucial memory by Micron, which is a good first sign for the industry. 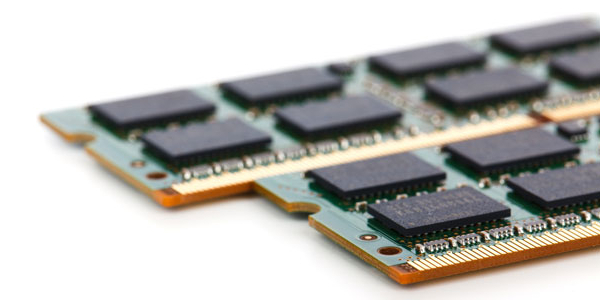 If Micron has memory shipping already, that means that the other big stalwarts in the industry like SK Hynix, Samsung, SanDisk and others have begun to ramp up production. Although it’s usually been the case that the launch of a new memory standard has been fraught with problems and issues with the memory not being all that speedy when compared to the outgoing standard, DDR4 looks to change that forever. The 64GB ECC kit is certainly expensive, coming in at 7,799 NOK (Norwegian Krone). 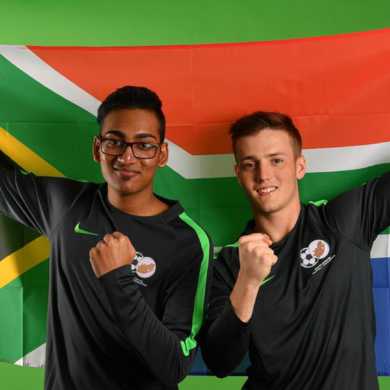 According to the most current currency values obtained through Google, that equates to US $1262.05, or approximately R13,200. Now, that may not be as bad as you think. Current prices for a 64GB ECC kit of DDR3-1866 memory is R9488 on Rebel Tech, which isn’t far off. That same kit on Newegg is US $715.99, which works out to approximately R7500. We’re overpaying slightly because we’re at the end of a very large continent on the other side of the world, certainly, but this isn’t so far out of wack that DDR4 won’t be feasible locally. There are a ton of companies locally who would love to hop on to the DDR4 bandwagon when Intel puts out Xeon processors that support it because not only is heat generation an order of magnitude lower, the voltage spec for DDR4 starts at 1.25v, which will certainly result in a lot of power savings and big increases in battery life once it hits the notebook market in 2015. I think that this may be the first time in the history of ever that the jump to a new memory standard isn’t hindered in any way. 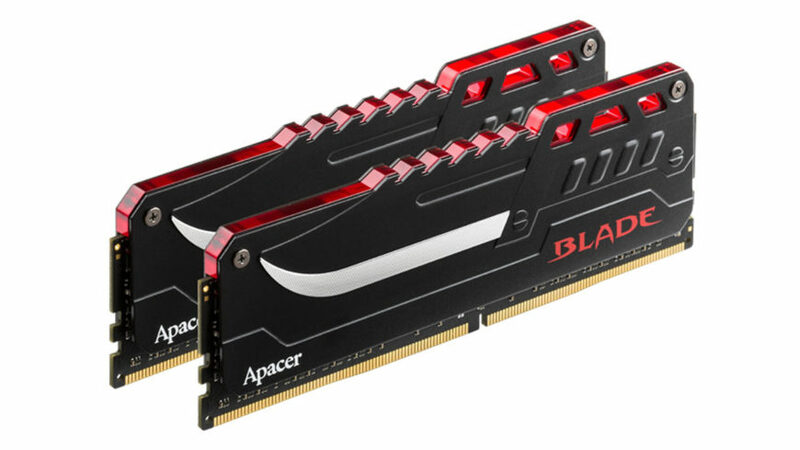 DDR4 has been specced out, taped out and working for at least four years, if not longer. The difference between this launch and DDR2 or even DDR3 is that Intel is now the sole driver for consumer adoption of new technology. This responsibility doesn’t fall to AMD or VIA in any way, shape or form. It’s up to Intel to deliver and this is probably why I also think that the jump from Ivy Bridge-E and LGA2011 to Haswell-E and LGA2011-3 will be as important to consumer computing and the industry as a whole as the Nehalem family. 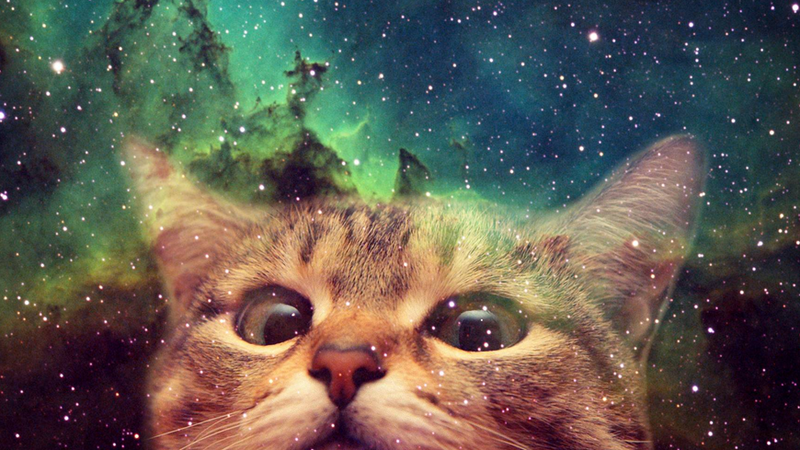 Keep a close eye on this space.